Mobile Application Development Platforms have become an absolute necessity in the business world, with practically all firms looking to add an application to their existing site, and the entrepreneurs looking to bring their mobile application visions to life. Mobile app development tools will give you the best services with complete solutions. Every platform is unique and presents different features, capabilities, and behavior. One of the biggest difficulties that app developers faced before was building applications that work well on various platforms. The cross-platform application market is assumed to hit $7.5 million by 2018, and the amount of cross-platform mobile development tools is on the rise. WORA (Write Once Run Anywhere) refers to a bit of code that is written once on one platform. But, it can run on various platforms. The purpose of such tools is to save time and effort on the part of the Android developer. So, a developer can reuse the code and can design applications that can work efficiently on multiple platforms, including Android, iOS, Windows, etc. Here, we are sharing the top 10 cross-platform mobile app development tools. That will help you to develop cutting-edge and productive apps in a short duration of time. Open Source PhoneGap is an excellent option for developing cross-platform mobile applications utilizing existing web technologies. It is really suitable for mobile applications that don’t make much use of the phone’s native features. The PhoneGap platform enables the developer to design application for platforms like iPhone, Android, Windows, and BlackBerry. This free resource is in-demand among the developers due to its features and support that it gives. This allows you to make use of in-app, integrated payments through the App Store for iOS, the Google Play Store for Android. It follows a plug-able architecture, which means that access to native device APIs and extended in a modular way. PhoneGap lets you deploy a single code base to various platforms including iOS, Android, Windows Phone, BlackBerry, Firefox OS, etc. The execution is known to be little poor for graphic-intensive applications made utilizing PhoneGap. Despite the fact that you may find plugins for PhoneGap per terms, they could be little old based on the target platforms. Appcelerator has pre-built connectors available for MS Azure, MS SQL, Salesforce, MongoDB. 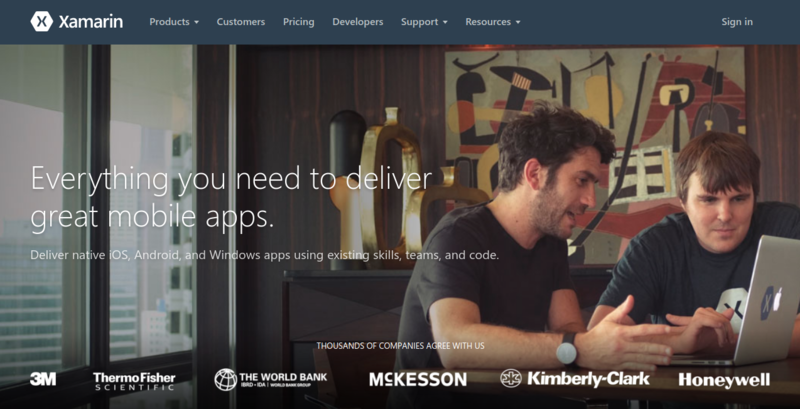 It also gives tools for rapid application development. A prototype can be made with lesser time and effort to estimate user interaction with UI. Appcelerator gives seamless integration to existing continuous delivery systems like SCM and MDM solutions. It consists of a schema-less data store called Arrow DB that allows you deploy the data models with zero setup efforts. Appcelerator is known to be a little buggy and laggy. However, a newer version is stable. There are user complaints about poor support from its designer’s community. The disadvantage is that we have come across so far about the tool is its support team. Particularly the developer community is slow in response. Xamarin is one of the best mobile app development tools in the industry. It also helps you to develop native applications for various platforms utilizing a shared C# code base. With Xamarin, you can do anything in C# that you can do in Objective-C, Swift. It also allows you to use the same IDE, language, and APIs. Xamarin enables the developer to share code, which implies an application will create in less time with a lower cost. This platform offers a modern programming language with powerful tools and ability to deploy your app over different mobile ecosystems. Xamarin’s sample apps perform it quick & easy to start things up. Besides, these applications are written clearly, and it can be used as a reference. Nearly, 75% of built code can be shared across major mobile platforms utilizing Xamarin. That gradually reduces costs and time-to-market. It also gives functionality testing and quality support for numerous devices to assure seamless integration. The free version of Xamarin offers limited features. But, it does not allow a developer to use open-source libraries for iOS and Android development due to compatibility issues. 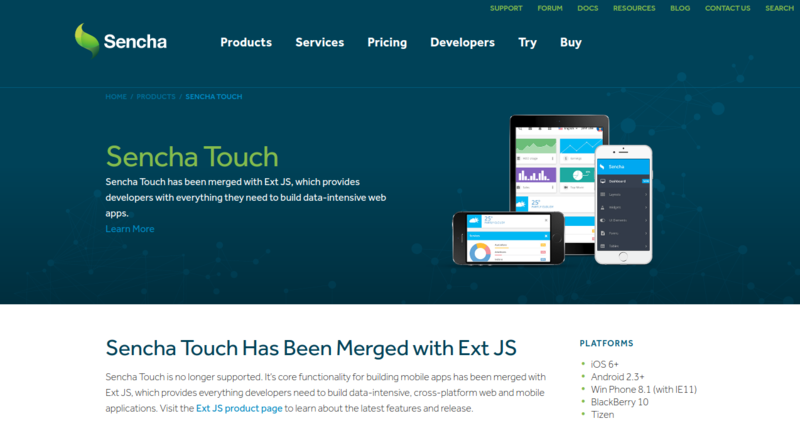 Sencha Touch is the leading cross-platform mobile app development tool. It can be utilized to develop efficient applications making utilization of hardware acceleration techniques. On Sencha, top quality applications can be developed with well-tested, integrated UI components and libraries. It’s even fit for building large business apps and keeping up them easily. Besides, this framework enables developers to develop cutting-edge applications. It also supports PhoneGap and Cordova integration for native API access and packaging. Sencha Touch supports Android, iOS, BlackBerry, Windows Phone. Sencha Touch gives native-looking themes. And its business licensing is hard to get it. 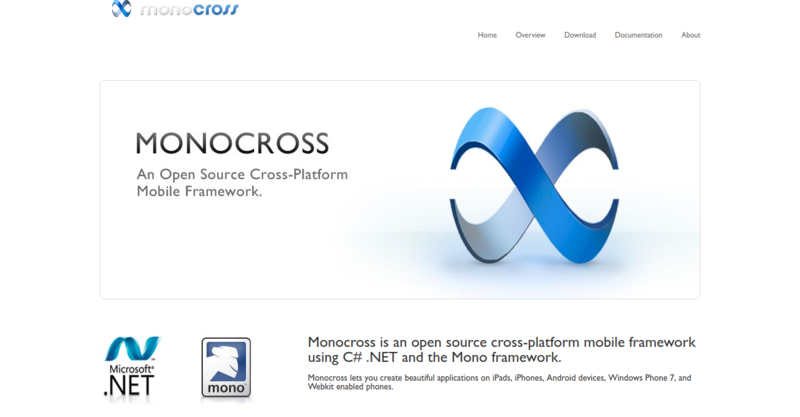 Monocross is an open-source cross-platform mobile app development tool. It also allows you to develop rich applications for iPad, iPhones, Android phones, tablets, Windows Phone and Webkit-enabled devices. It utilizes C#, Microsoft .NET and the Mono framework for creating multi-platform supported apps. Besides, it provides the developer full access to the native device APIs. It also provides you access to the full power of the native device APIs. Additionally, it provides access to several APIs you need to deploy your apps securely. There is no need to learn the low-level intricacies of every platform. Using Monocross to build apps needs C# and .NET compatibility for the apps’ regular development and maintenance activities. The document and support for the Monocross framework are few on the internet. So, developers may discover themselves in a tricky situation while building the app, as they don’t have adequate resources to learn the framework. 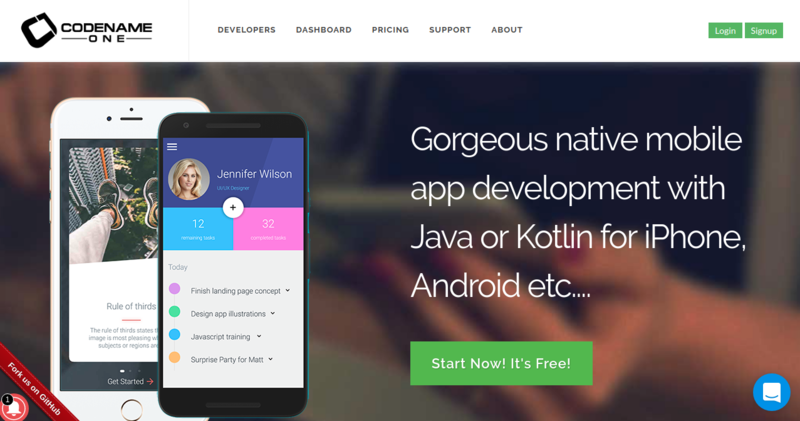 Codename One is a cross-platform mobile framework with objectives of simple usability, rapid apps development, deep integration with the native platform with potential native speeds. While you are needed to code in Java, your application can be tested with Codename One simulator devices and test automation tools. This framework supports famous IDEs like NetBeans, Eclipse, and IntelliJ IDEA. The most exciting feature of its build server is that the developer can build native iOS applications and native Windows apps without a Mac machine or Windows PC. It also maintains most of the famous IDEs like NetBeans, Eclipse, IntelliJ IDEA, etc. It uses Parpar VM which ensures compatibility with future iOS versions due to its use of the officially supported iOS toolchain. 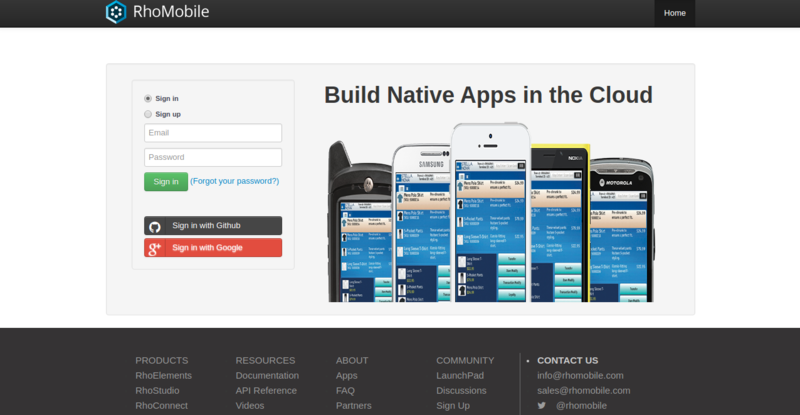 Its build servers enable building native iOS apps without a Mac machine and native Windows apps without a Windows PC. Its ‘lightweight architecture’ enables the UI to work seamlessly across all platforms. Codename One’s default visual themes are a little primitive, and its Graphical UI Builder may not be suitable for massive projects. Another important defect is that all the event handlers are stored in a single file. 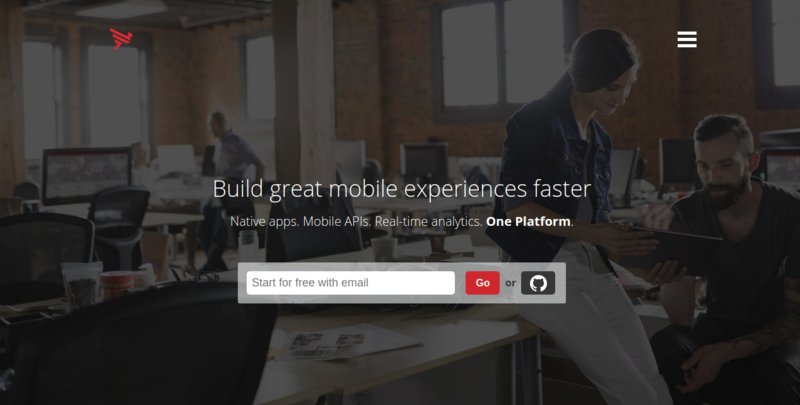 Kony Mobility Platform is an integrated, cross-platform mobile app development tool. It also gives automatic coding features, API connections, application preview facility. Besides, it has pre-built apps that make it less difficult for beginners to build up an application easily. It comes with several pre-built applications that act as an excellent starter for developers. It also gives unified mobile infrastructure services for maintaining backend systems. The documentation and assistance available for Kony on the web are not extremely broad, same as Monocross, when compared with different platforms. The shortage of documentation and resource support can make a unique situation for developers. Convertigo is one of the best mobile app development tools. It is an open-source software that gives a mobile enterprise application platform comprising these solutions: Convertigo Studio, Convertigo Cloud, Convertigo Server and Convertigo Mobilizer. It also allows you to create business-driven events computed to notify users, even if the device is in standby mode. It enables connecting to enterprise data with a lot of connectors such as web services or SQL databases. Convertigo has three different plans for which the free plan has community support. Although, it doesn’t cover its Fullsync offline data support. It has profoundly embedded support for AngularJS 2 and TypeScript. Its apps use native components and have direct access to the native APIs along with complete access to the development libraries. It also has a cross-platform Declarative UI support. Moreover, it enables you to build the app’s UI once and utilize it easily on other supported platforms. Multi-threading is a potential issue in Nativescript that might be enhanced in later releases. There is a shortage of in-depth examples and documentation on each of its component. The resources are not extensive and documentation on each of its features. RhoMobile Suite depends on the Rhodes frameworks. It also gives application tools to developers for creating multi-platform, native mobile apps. Utilizing RhoStudio, a free Eclipse plugin, developers can build, debug and test applications with no other hardware or emulator requirements. To make offline data access available like Convertigo, RhoConnect provides developers to integrate offline data synchronization into applications. It also gives Object Relational Mapper allowing automatic synchronization of the backend data and even features automatic data encryption. It’s RhoElements RFID plug-in for Windows Mobile/CE is not available as open source or freely accessible to all. One of the biggest difficulties with RhoMobile is its RhoElements RFID plug-in is not freely available for Windows Mobile/CE. 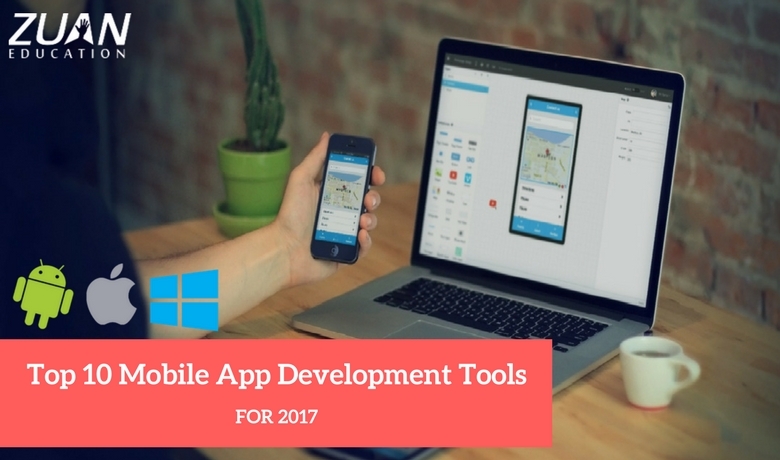 These mobile app development tools will help both specialists and beginners include new functionality easily for consistent user experience. These platforms vary according to different needs, capabilities, and features. Do let us know in the comments, which is your favourite mobile application development platforms.